The global shift towards a health-based approach to the use of illicit substances continues, as Norway becomes the first Scandinavian country to decriminalise the use of illegal drugs. The move is yet another admission that the almost fifty-year-old war on drugs has failed. Known as the Storting, the Norwegian parliament voted last week to decriminalise illicit substances. One hundred and thirty three of the 175 Norwegian parliamentarians voted in favour of the move, with bipartisan support from the major parties. This turning away from the zero tolerance approach will see the personal use and possession of drugs no longer criminalised. Those people found in possession of small amounts of illicit substances will be given the option of a drug treatment program, rather than being detained behind bars. Growing or producing illegal drugs, along with dealing and trafficking in them, will remain criminalised and those who break these laws will continue to face tough penalties. “We will stop punishing people who struggle, but instead give them help and treatment,” Socialist Left Party health spokesperson Nicolas Wilkinson told VG. He added that the decision marks the beginning of major reform in the country. 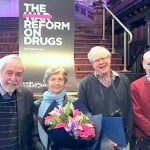 Members of the Storting Health Committee will undertake a fact-finding mission to Portugal in February to observe that nation’s sixteen-year-old policy of drug decriminalisation, which is renowned throughout the world as the most successful drug law reform model. Portugal decriminalised the personal possession and consumption of all illegal drugs in 2001. At the time, the nation was suffering under a drug crisis. One percent of the population were dependant on heroin, while Portugal also had the highest rate of drug-related AIDS death in the European Union. The architect of the Portuguese model, Dr João Goulão, chaired a committee tasked with finding a solution to the widespread drug issues in 1998. The committee tabled a report recommending a radical shift away from the law enforcement approach to focus on treatment and harm reduction. Under the system of decriminalisation, a person found with less than a ten day supply of an illicit substance is not arrested, rather they’re sent to what’s called a Commission for the Dissuasion of Drug Addiction panel. The three person panel is made up of a doctor, a lawyer and a social worker. They can recommend a minor fine, or if the person is found to have problematic drug use, they can recommend a drug treatment program. However, 81 percent of people appearing before the panels receive no penalty at all. 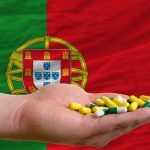 By 2015, Portugal’s drug-induced death rate sat at three cases per million residents, five times lower than the European average. While drug-related HIV infections plummeted from 104 new cases per million in 2000 to 4 cases per million in 2015. The International Narcotics Control Board – a body not known for its progressive stance – lauded the Portuguese model as exemplary in December 2015. And it’s the obvious benefits that decriminalisation has brought to Portugal that’s inspired politicians in Oslo to make the policy change. Indeed, Norway is struggling to counter its drug-related death toll. The nation’s 2017 country report revealed that 266 people have died due to illegal drugs this year. The West African nation of Ghana is set to become the first nation on the continent to implement a policy decriminalising the use and personal possession of illegal drugs. The Narcotics Control Commission Bill 2017 is currently before parliament. It seeks to address drug use as a “public health issue,” which is a radical departure from the nation’s heavy-handed law enforcement approach. Currently, the use and purchase of illicit substances is punishable by a mandatory 5 years’ imprisonment. This rises to 10 years for possession. At present, Ghana’s prison system is overflowing with people who’ve been locked up for minor drug offences. Under the new system, a person found in possession of an amount of an illegal drug for personal use would face a fine, rather than imprisonment. In much the same way that drug use rose in Portugal after the country become the favoured route for drug traffickers entering Europe in the mid-1970s, so too has the availability of illicit substances become more prevalent in Ghana, as it’s become a major transit zone for traffickers. 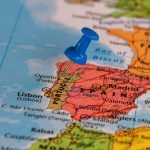 It’s been sixteen years since Portuguese authorities made the controversial decision to decriminalise drugs, and now there’s solid evidence that a health focused approach to drug issues results is far superior outcomes than the old drug war tactics. 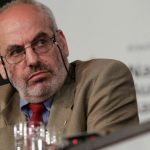 Indeed, Australia Drug Law Reform Foundation president Dr Alex Wodak told Sydney Criminal Lawyers® in February that the Portuguese model has had major global impact. 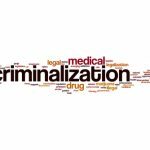 The nation’s decriminalisation policy has influenced about 40 countries to substantially reduce or eliminate “criminal sanctions for people found in possession of drugs” for personal use. In Australia, all jurisdictions can now deal with the possession of a small amount of cannabis by issuing a fine. And in June this year, the United Nations and WHO recommended the decriminalisation of “drug use or possession of drugs for personal use” in a joint statement. Both organisations had never made such a direct and overarching recommendation for drug decriminalisation before. Irish minister of state for the national drugs strategy Catherine Byrne announced last month that her nation could pass legislation in early 2019 that would decriminalise the use and personal possession of illicit substances. On November 28, the minister appointed a working group to look into alternative approaches to the drug issue. It held its first sitting last week, and it’s expected it will table its first recommendations next May. “Criminalising people for possession of small amounts of drugs is ineffective as a policy,” said Tony Duffin, chief executive of the Ana Liffey Drug Project. He added that being “labelled a criminal” has a stigmatising effect, which can have an impact on people’s lives, especially with employment. 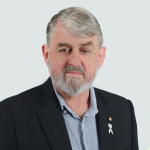 While, “Australia should implement and evaluate the health benefits of removing criminal sanctions for personal drug use as demonstrated in international settings,” such as Portugal.